The world has been mourning the massive loss of 27-year-old Anton Yelchin, who died in a freak accident on Sunday. 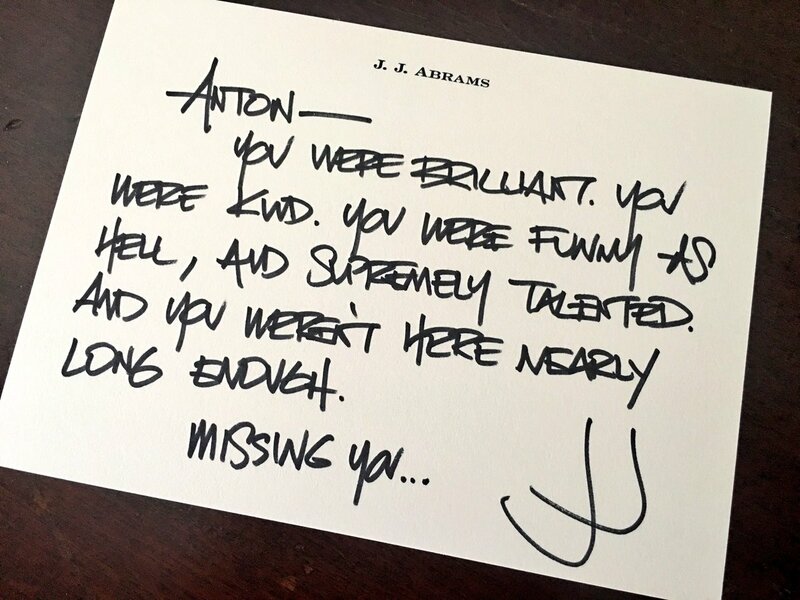 Fans and celebrities alike are remembering the extremely talented young actor after his life was taken away far too soon, and now, J.J. Abrams shared the most beautiful handwritten note about his lost friend and colleague that is pulling at our heartstrings. Various other Star Trek cast and crew members have been taking to social media to remember Anton and post tributes of their own. Our hearts go out to Anton’s family, as well as all of the people around the world who are mourning the loss of an amazing human being. Rest in peace, Anton Yelchin.